Two recent stories about illegal street racing make the movie franchise “Fast and Furious” look more like pirates and killers, than handsome heroes. One of the incidents involved an expectant mother who was driving a Honda Pilot, who was hit by the driver of a blue Chevy Impala. The woman was taken to the hospital, where her baby was delivered via emergency C-section and was in critical condition. The husband was notified by phone, while in a business meeting. He wasn’t sure if he’d show up to the hospital to find his wife dead or not. The driver of the Impala was also badly injured, but two of his passengers were killed in the accident. Police believe street racing was the reason for the high speeds involved in the crash. The other incident occurred near Castle Rock, when another female driver was surrounded by a group of street racers, who slowed their pace and finally rolled to a stop. The deterrent was done to give a couple of street racers a section of I-25, so they could race unimpeded. The racing group effectively shut down a section of one of Colorado’s busiest interstates, so they could indulge in illegal street racing. Goodwin said the CSP has investigated numerous accidents and reports involving street racing on I-25, and it does appear to be a growing problem. 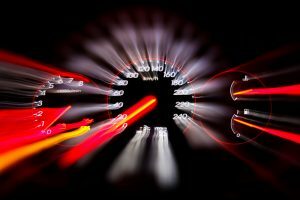 What to Do if You See Street Racing? Have you been the victim of an injury as a result of a street racing accident, or another negligent driver? If so, the Colorado Springs Car Accident Lawyer at Shakeshaft-Gorman Law Firm LLP is ready to advocate your rights, and help you recover compensation for damages that could help you put your life back together. Let us schedule an appointment to talk about your case by calling (719) 635-5886 or (800) 383-5886. You may also email us using the contact form on this page. Our offices are located in Colorado Springs, but we also represent clients throughout Colorado. 1“Street Racing? Woman, Newborn Critical After Crash” published in Channel 4 CBS Denver, February 2017. 2“Street racers terrify drivers on I-25, State Patrol looks to crackdown” published in Channel 7News Denver, April 2016.